This program allows clients to access our databases from their location, enabling review of accounts turned over for collection. Access is password protected using remote access software and allows clients to review debtor accounts, payment history, notice history, promises made, and collector notes. This interface allows us to capture debtor information on health insurance claims and to print the Health Insurance Claim Form. Once completed, the form is ready for submission to the appropriate insurance companies. This module allows for electronic submission of debtors and accounts into our system with various file formats. The Client Input portion of the module gives our clients an interface, which allows them to easily provide us with files containing the debtor/account information. Client Upload is used to analyze the files and create debtor and account records in our system. Module allows us to record Judgment information and to indicate which accounts were included in the Judgment. The Judgment system maintains a record of the original Judgment amounts including principal, interest and legal fees. This system updates these fields as payments are posted to the included accounts. This module lets end users create various requests for reports, cross-tabs, graphs, and spreadsheets. Foxfire satisfies unique client reporting requirements. Acollaid is a collection industry skip tracing service which maintains a comprehensive consumer database containing over 120 million households, most with telephone and social security numbers. The Acollaid Module provides an interface between the Acollaid database and our collection software system. 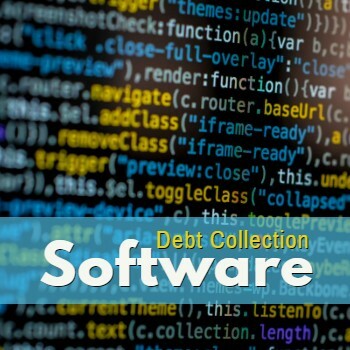 We understand the importance of harnessing the amazing technology available in our industry to provide effective debt and credit collection services. If you have any questions about our services or the tools we use, please contact us. We are glad to answer any questions you have. Know more about our tools. Contact us right away.